I am a clinical psychologist in private practice in Claremont, Cape Town. I provide short and long-term therapy to school-aged children and adults. I have a masters in Clinical Psychology (SU) and Neuropsychology (UCT) and am registered with the HPCSA and BHF. I practice predominantly from an integrative psychodynamic framework - what this means is that I am interested in understanding how past experiences and relationships are informing and influencing present difficulties, alongside the impact of broader family and community systems. I am committed to helping my clients identify, explore, and work through thoughts and feelings associated with the problem at hand. Often, this approach is helpful in empowering individuals to process painful or challenging experiences and break free from patterns of behaviour that may be self-destructive or unhelpful. Although my theoretical orientation is predominantly psychodynamic, the approach I take is guided by each individual client’s expressed difficulties, needs, and resources. 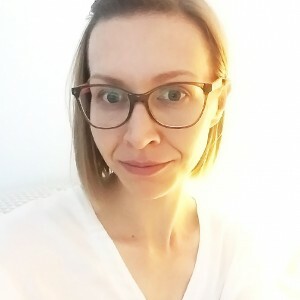 I am also trained in Cognitive Behaviour Therapy (CBT), and have experience in Dialectical Behaviour Therapy (DBT), and mindfulness-based therapies. My hope is to provide an experience in which clients feel heard and acknowledged, a space where hurts and hopes are collaboratively explored with kindness, acceptance, and curiosity. My areas of interest are broad and include: complex trauma, anxiety and mood disorders, addiction, grief and bereavement, and chronic illness (specifically, the interplay between physical and emotional health). With a background in Neuropsychology, I also have a special interest in working with individuals affected by neurodevelopmental and neurodegenerative conditions. I view associated challenges as occurring within a system, and so my aim is to facilitate a therapeutic space where identified issues are understood and responded to holistically.